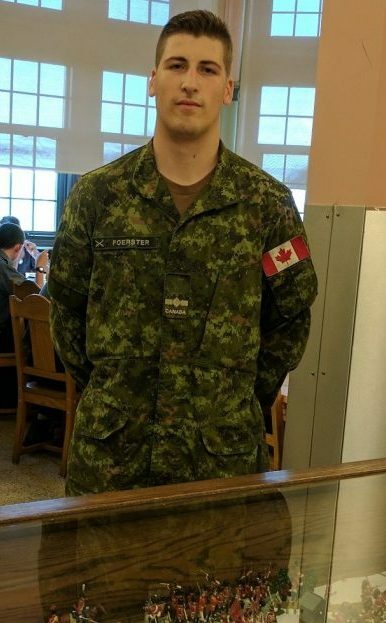 27708 Officer Cadet Andreas Foerster (pictured in feature photo) is headed into his third year at RMC; he has spent the majority of this summer on OJE (On Job Experience) at the RMC Museum. The following is a first-hand account of an interesting project that has taken up most of his time over the past couple of months. 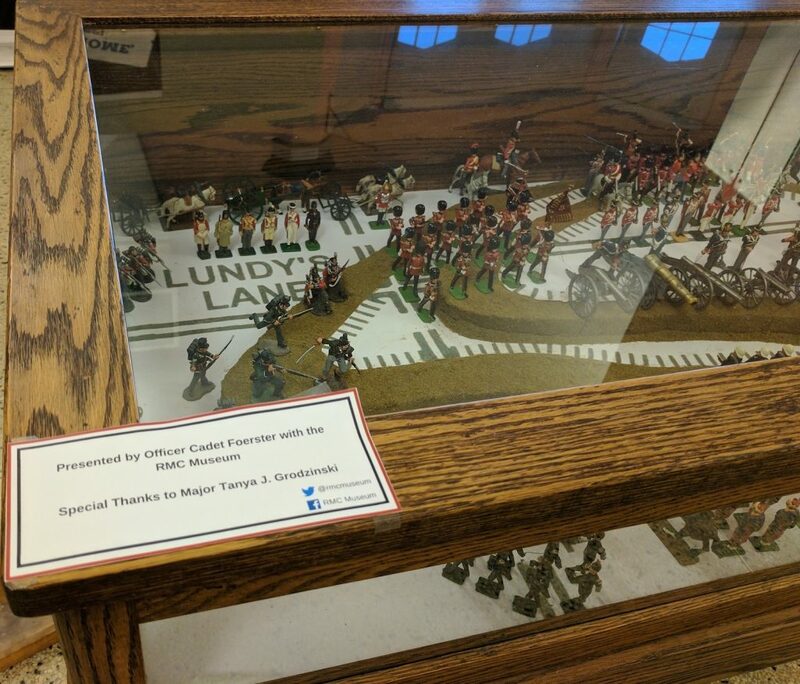 For the last five weeks, under the supervision of Museum Curator Ashley Mendes and with the aid of several staff members, I have worked on creating a diorama for the anniversary of the Battle of Lundy’s Lane, which took place on the 25th of July, 1814 in the Niagara. This was the bloodiest battle of the entire War of 1812, with both American and British North American forces suffering roughly 70% casualties in only a dozen or so hours of fighting. The battle was the climax of the Niagara Campaign, which would be the US’ last attempt to invade both Upper Canada and the whole of what we today call Canada. Both sides were exhausted from months of fighting, and so both wanted to force a decisive battle to determine who would gain control over the Niagara, and therefore essentially walk uncontested into the cities of Queenston, York and Kingston. After a bloody back and forth duel for control of a key area of elevation, the British were successful in both winning the heights and dealing more casualties to the Americans. Realizing further campaigning was logistically impossible, the Americans retreated, and soon thereafter left Upper Canada altogether, never to return. Being the zealous patriot I am, I thought that this day should not go uncelebrated. As an aspiring historian, I feel one cannot deny the importance this moment had for our military tradition and independence as a nation. 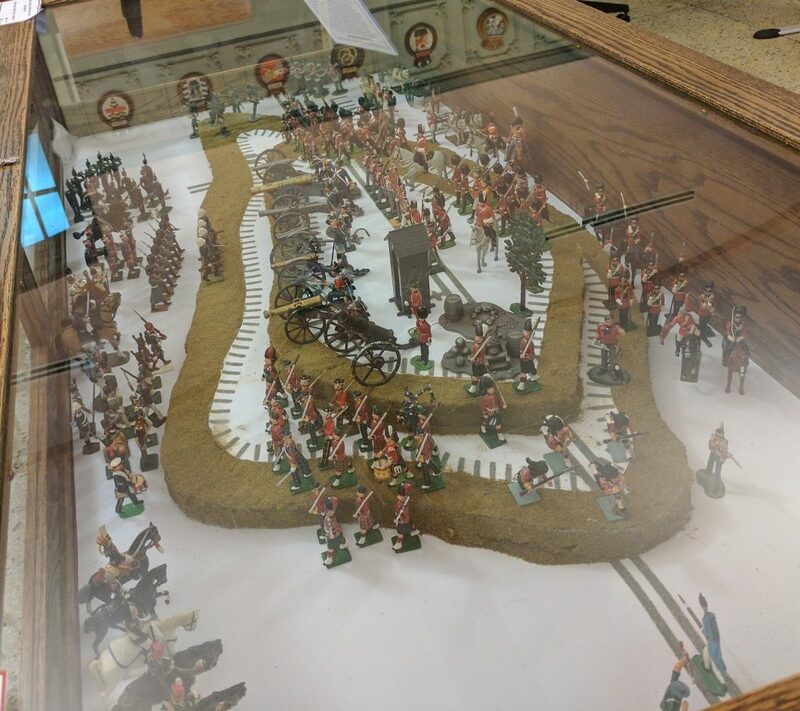 After performing an inventory on the historical figurines the Museum has collected over the years, I realized that these could easily be put to use in a diorama depicting the Battle of Lundy’s Lane. We also received expert advice and several detailed figurines from RMC’s own Major Tanya Grodzinski. Once we had the figurines, I set about placing them into a skeleton formation that depicted all three phases of the battle. Then, the next four weeks were dedicated to building the diorama. Using a tactical map display of the battle made to scale by the RMC Graphics Team, I cut out two elevated points from slabs of styrofoam. In order for easy transport, I cut them into five numbered pieces each, connected via carefully placed toothpicks. To simulate grass and mud, I glued onto the styrofoam turf (artificial grass and earth), then carefully padded them down to a measured height so that when the figurines were placed on top they did not end up falling over. This process took a total of eight consecutive hours. 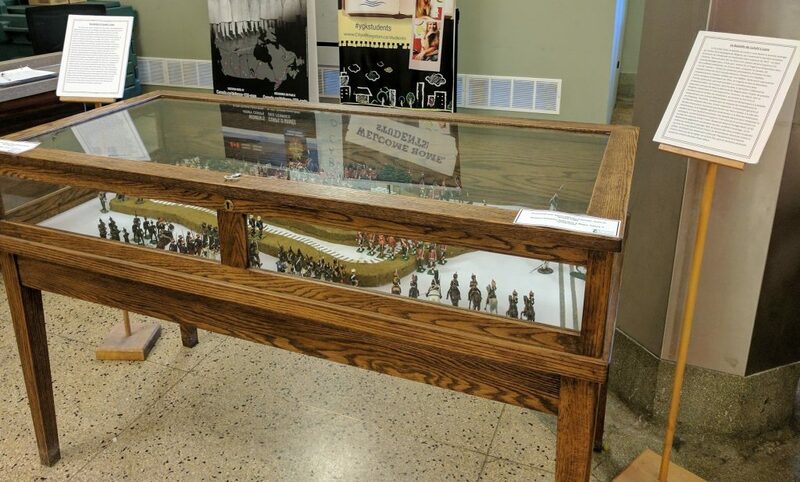 As of 18h00, 25th of July (when the battle commenced), the diorama has been set up in the CDH (Cadet Dining Hall) in Yeo Hall, and there it will remain for at least the next month.